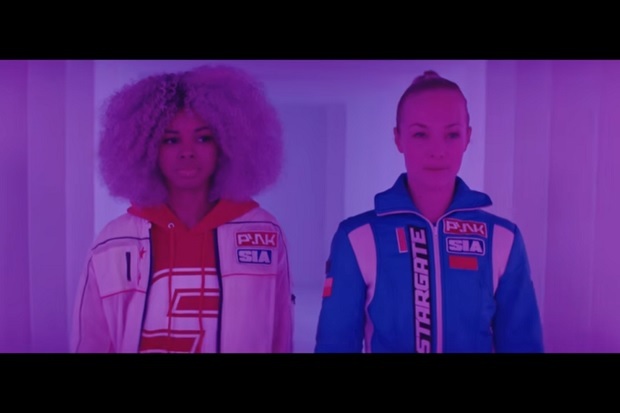 Pink and Sia do not appear in Stargate's "Waterfall" video. Instead, there's indoor skydiving. 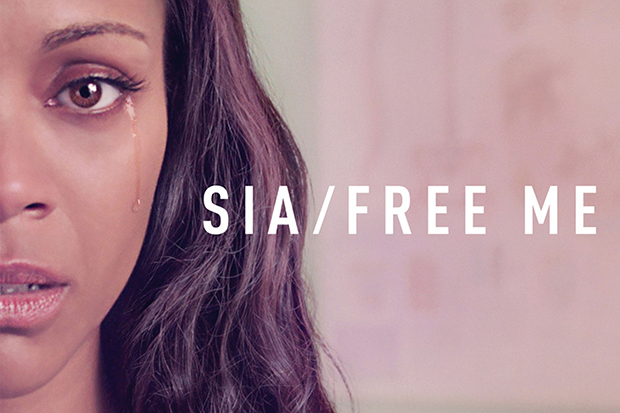 Sia is nothing if not prolific, releasing an emotional new ballad called “Free Me” to raise funds for the #endHIV Campaign. As usual, she excels visually. Starring Zoe Saldana and narrated by Julianne Moore, the moving video highlights the grim statistic that HIV/AIDS is the number one killer of women of reproductive age worldwide. The clip gives that stat a famous face (the Guardians of the Galaxy star) and a harrowing story that follows an expectant mother, who goes for a check up only to find out she’s HIV positive. The news take Saldana’s character through a whirlwind of emotions, represented metaphorically by the interpretive choreography. “Free me from this pain I’ve been running from,” sings Sia as the protagonist realizes that her baby might contract the virus if she doesn’t treat it. Accompanied only by a piano throughout the first half of the song, Sia holds her own in “Free Me,” baring the sole responsibility of evoking every emotion imaginable solely through her voice. Violins come in when Saldana decides to fight, and a full on orchestra enters as she overcomes and later has her baby in her arms. The dance was choreographed by Sia’s longtime colleague Ryan Heffington, who she worked with on “Chandelier,” “Cheap Thrills,” “The Greatest,” and her Nostalgic for the Present Tour. “I’ve proudly joined forces with the Abzyme Research Foundation and the #endHIV Campaign for the release of my song, ‘Free Me,’ to help raise funds and awareness for a potential breakthrough cure of the epidemic,” said Sia through a statement. One hundred percent of proceeds of the sale of “Free Me” will benefit #endHIV, a project of the Abzyme Research Foundation. The funds will help advance a potential vaccine that will cure HIV/AIDS to human trials. “Free Me” will be available for purchase and streaming on June 9. Check out the gut-wrenching music video below.